It would not be the real trip around the world if we did not visit legendary Angkor Wat. We simply could not miss it. Therefore we went by the cheapest possible way from Battambang by bus for 4,50 USD/person to the town of Siem Reap. It is a gate to Angkor Wat. You can even go by boat but the price is higher and it is not convenient any time of the year. We were heading towards Angkor Wat early in the morning. On the way there we eat noodles with fresh vegetables and egg for 1 USD. In a while we reach the entrance gate. We bought 3 day ticket for 40 USD/person. It is convinient to purchase this ticket even for 2 day stay. After paying they took a picture of us and printed the ticket with our photo. Interesting, we have never seen anything like this before. Adventure may have started. We were about to reach the first temple in Angkor. 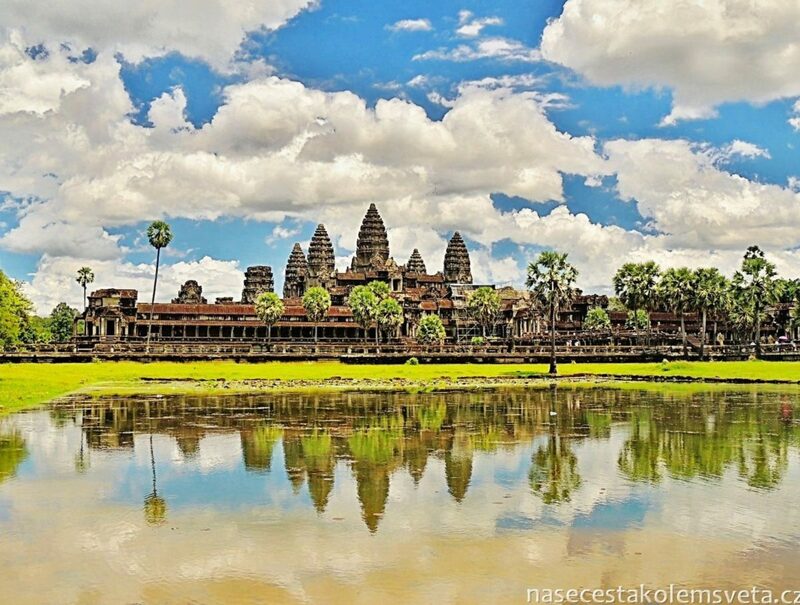 Angkor Wat it the most famous temple of all temples located in the entire Angkor area. 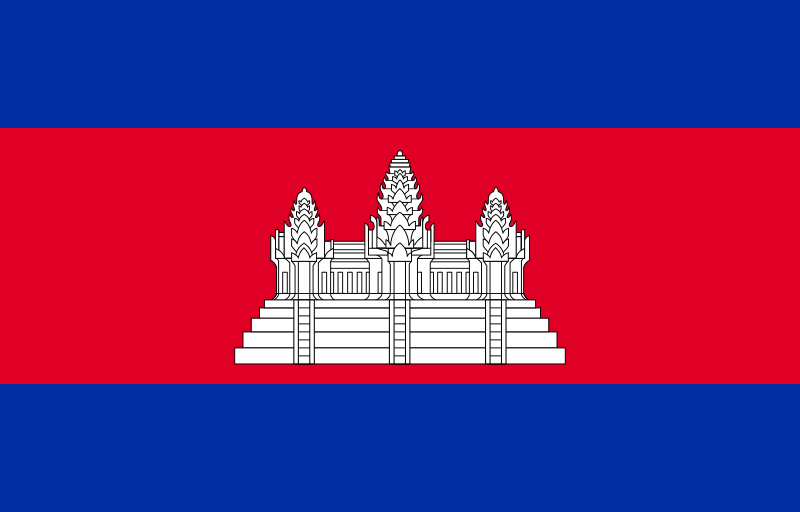 It is one of the most significant sites in Southeast Asia and of the Khmer Empire at all. It is the largest and also most preserved temple in the whole complex. Its size is around 1 km² therefore it is considered to be the largest religious place in the world. 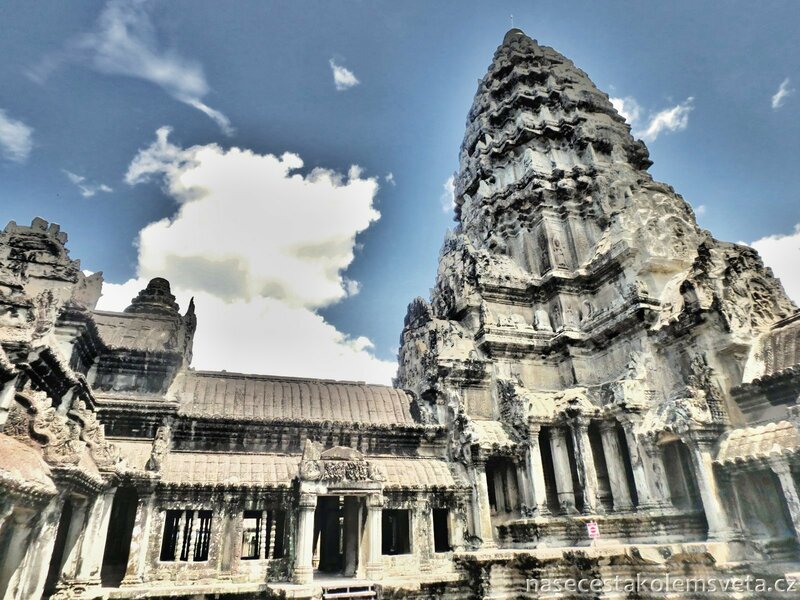 Angkor Wat has become an important symbol for Cambodia. It is displayed on their national flag. The temple is up to now important religious center. Originally it was Hindu temple, later it became Buddhist shrine. On the first sight it looks really magnificent. 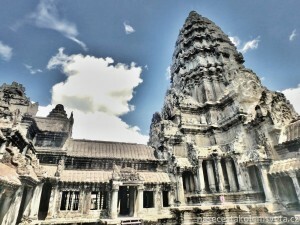 Angkor Wat was the glory of Khmer building style. The whole complex is surrounded by the water and it was built in square image. All around the giant and massive temples is a beautiful park. All details on the temples are very impressive and guide a visitor throughout the rich history. But there are also other temples to admire. A few minutes of driving from the Angkor Wat there is a beautiful gate to the city complex of Angkor Thom. Bayon is without a doubt the most exquisite temple in Angkor Thom. It is a stone temple decorated on its four sides with giant heads. Heads are breath-taking and really huge and they make you feel their eyes are watching you. We love these mystical constructions. But there is also very rich decoration within the temple connected mainly with the stories people were living and experiencing at that time. Highest central towers were built in the circle shape. 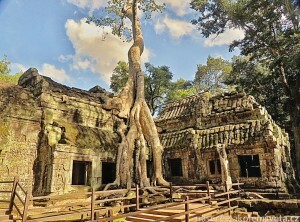 It was not common at that time and was considered as the innovation in the Khmer architecture. 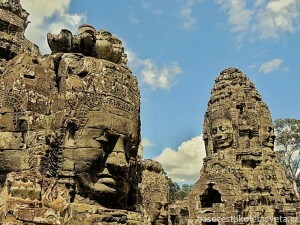 Next to the temple of Bayon we can find another shrine called Baphoun. The journey leads through pleasant park where you can snap the monkeys. You can find monkey almost everywhere. Baphoun is a three-tiered temple mountain architectonically representing Mount Meru. It is reckon in Hinduism as a sacred mountain because it is the mountain of Gods. This temple was built to honour the god Shiva. In the 15th century the temple was changed for the Buddhist one. The temple had to be restored many times, present day it looks very beautiful. On the way from Bayon we encountered a small shrine Phimeanakas. After a while we were able to admire Terrace of the Elephants and Terrace of the Leper King. When leaving Angkor Thom we also spoted Prasat Suor Prat towers situated on the other side. 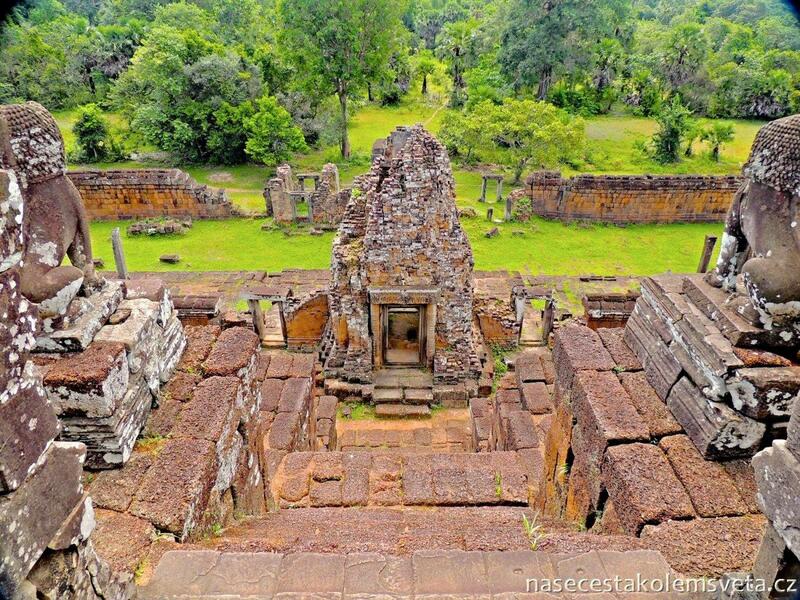 Between the Gate of Victory of Angkor Thom and East Baray there is Ta Keo Temple. It is a temple mountain possibly built entirely of sandstone by Khmers. Shrine dominates with its 5 temple towers arranged in quincunx. The temple is decorated with many beautiful sculptures engraved to the sandstone. 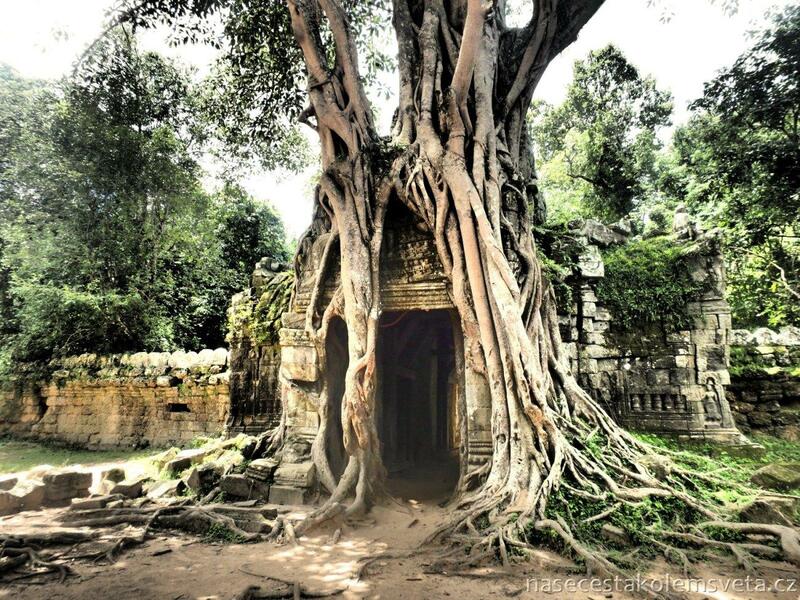 Ta Phrom is one of the most charming places in Angkor. Thanks to its location and combination of the ruins, trees intergrowing the temples and jungle surrounding it all, is one of the most graceful and photogenic spots we found in Angkor Wat during our pilgrimage. 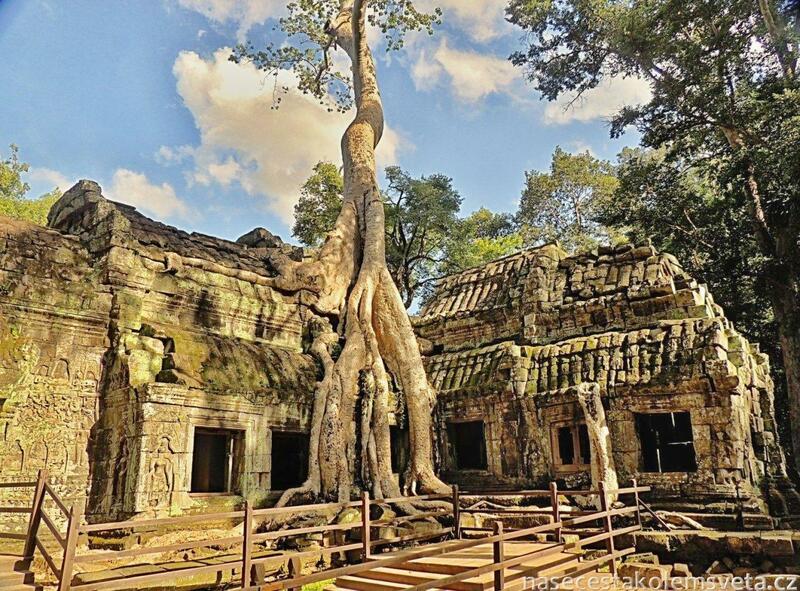 It is incredible how temples lasted to hold big giant trees for all these years. One is able to spend here minutes and the beauty in front of his eyes will never go in vain. Maybe that is why the directors chose this place for making of Tomb Raider movie. On our 1st day we visited these temples: Angkor Wat, Angkor Thom (Bayon, Baphoun, Terrace of the Elephants, Terrace of the Leper King, Phimeanakas), Prasat Suor Prat, Ta Keo, Ta Phrom. Preah Khan was built in the 12th century to honor the king. It was a significant center with about 100.000 officials and servants. Design of the temple is flat. There are many halls when on one side the stone entrances are higher than on the other side. They were built like this for the king and his better comfort. 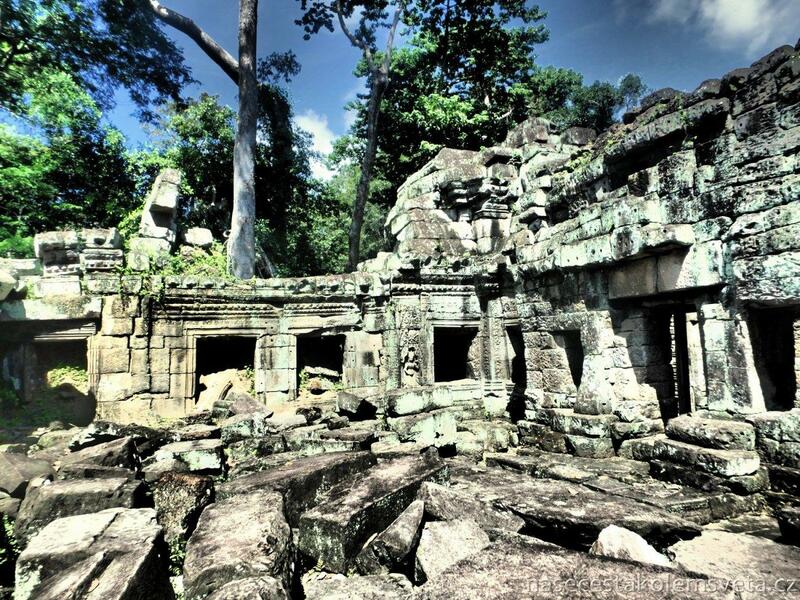 Preah Khan temple has not been restored for a long time and it makes it so charming. Several trees and local vegetation overgrown the ruins and created the beauty you simply love to observe. Neak Pean is one of the smaller temples in Angkor but still does not lag behind. When we got here we first needed to walk a long path surrounded by a small lake. In a while we reached the temple. Temple was originally designed for medical purposes. It was believed in the past that bathing in the pools brings the balance and heals the body. Four pools based around the temple represent Hindu elements: water, earth, fire and air. The most impressive at Ta Som temple were the gopuras. Gopuras are monumental towers and gates to the temples. The main gopura of Ta Som temple is famous for its Bayon style faces. Eastern gopura is also worth a notice as it is overgrown by the sacred fig which makes it very photogenic. East Mebon Temple was dedicated to the Hindu god Shiva. The temple has two enclosing walls and three tiers. 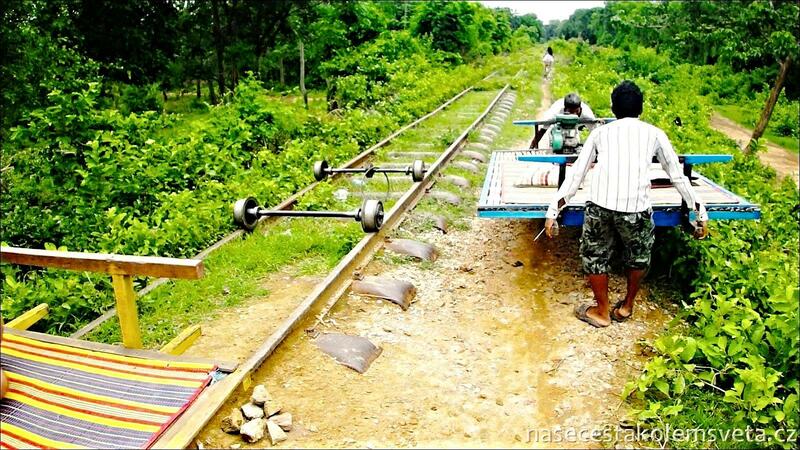 Khmers used durable construction materials: sandstone, bricks, laterite and stucco. It was built on an artificial island but at the present day the reservoir is dried-up. 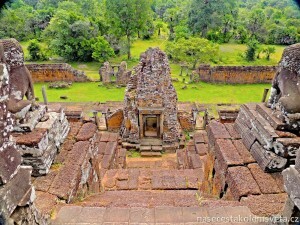 Even though Pre Rup may remind you a lot of East Mebon, there are differences. You can find them mainly at the decorations of the temple but also in its size. We decided to go up, it was a bit of climb but we truly enjoyed the view to the green surroundings. And we were pretty lucky because there were buffalos bathing in the pool next to the temple. Banteay Kdei is another temple constructed in the Bayon style. It looks a bit mystical but maybe it is because the bigger parts are in bad conditions and ruins are overgrown by the local vegetation and the temple is surrounded by big trees. There are also many animal statues within the temple area and on the walls you can admire frescoes of dancing apsaras. On our 2nd day we visited these temples: Preah Khan, Neak Pean, Ta Som, East Mebon, Pre Rup, Banteay Kdei. 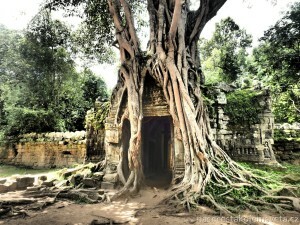 As for the temples in Angkor it is often not necessary to talk. It is important to engorge the atmosphere and it is possible only by visiting this historical and mysterious place or by watching photos we took there. We spent there 2 long days and could not soak up the beauty. We brought so many experiences and were ready to leave Cambodia for our next destination, to Thailand and its capital city Bangkok.